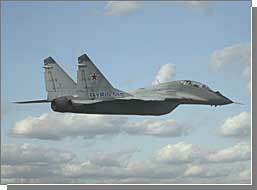 Fly Legendary Jets MiG and Sukhoi Fighters in Russia. Tour Packages and Prices. Fly MiG and Sukhoi Fighters in Russia. Tour Packages. Fly MiG and Sukhoi Fighters in Moscow. Flight Tour Packages. We beat any prices on flights at Zhukovsky Airbase! FlyMiG.Com - your Official and direct Zhukovsky connection! Please book your flight in advance! Some services as exact flight date and hotel rooms with Kremlin view require advance order placement. If you see prices lower than ours - they must be outdated! National Hotel: Kremlin view can not be guaranteed. National Hotel guaranteed Kremlin view suite price starts from $750 per day. We are using seasonal hotel prices and depending on a season - package price will vary slightly. - Prices and information on Featured Moscow Hotels. Other hotels also available for booking per your request. Prices with additional hotels. - we reserve the right to substitute hotel for a higher or the same class hotel during the Holiday Season! One single-entry Russian visa for US, Canada and UK Citizens(*). Citizens of other Countries provided with Visa support only and issued a credit to obtain Russian Visa. Visa and visa support includes hotel voucher and tour confirmation required by Russian Embassy or Consulate to obtain visa. Voucher and confirmation provided on paid orders. 5 days and 4 nights accommodation at the Hotel with highest European accommodation standards. Excursion to the State museum of Air Forces in Monino (if trip falls on available visit days). Interpreter service to/from English, German or French. Other languages require special arrangements and may be priced higher. * - Russian single-entry visa provided free of charge for pilots ordering the flight(s) package with Hotel. Visa requested for friends or without Hotel Package is US$160 each. - European Countries Visa Processing soon will be included in our packages price! Day 2. City tour around Moscow or visit to the museum (3 hours). Guide service included. Day 3. Transfer to Zhukovsky town. Fighter flight. Transfer back to Moscow. Guide service included. Day 4. Excursion to the State museum of Air Forces in Monino (4 hours). Guide service included. Exact custom flight package price on any aircraft with dates and daily schedule can be ordered online by filling out form here. If you are already in Moscow and do not need hotel accomodations and/or airline ticket - prices are for a single flight by aircraft type. add US$150 for interpreter (if needed). If flight only is requested, a US$50 handling fee applied to the flight price! Exclusive Flight program on MiG-29 - available only for pilots who fly with FlyMiG.Com!